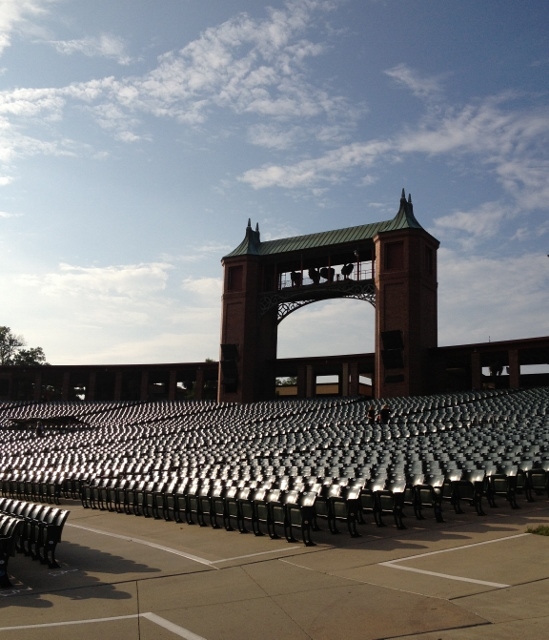 Starlight Theatre is one of my very favorite places to catch a Summertime concert. It was mentioned recently in Buzzfeed’s “6 Outdoor Music Venues You Need to Visit In Your Liftetime” article. 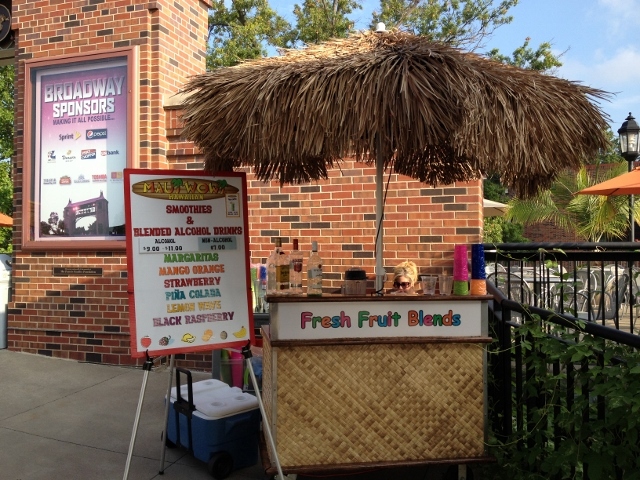 Spending a summer evening at Starlight is magical…and it can be food-filled, too! While I most often write about restaurants, I’m sure many of you want to know about eating gluten-free and healthier beyond restaurants. Ballparks, concert venues, amusement parks…all the places we visit and eat beyond restaurants deserve some press, too. So I’m going to share my food finds from Starlight with you. 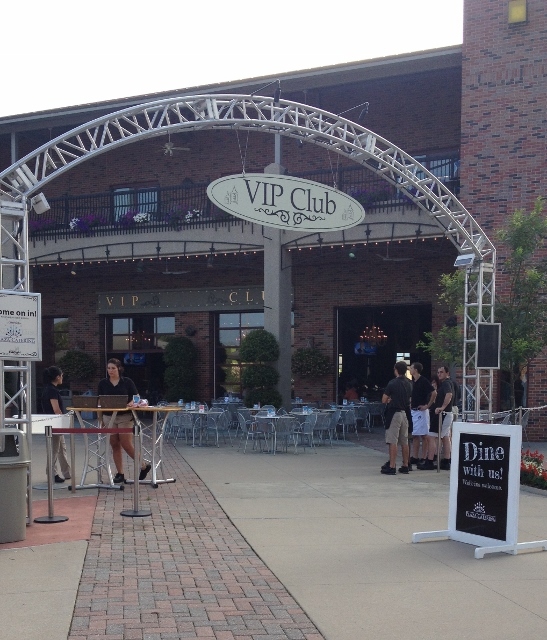 The VIP Club is open to all guests before musicals at Starlight. The offer a buffet dinner. While they don’t prepare dishes specifically to accommodate food allergies or intolerances, they will walk you thru the buffet and point out dishes that work for you. 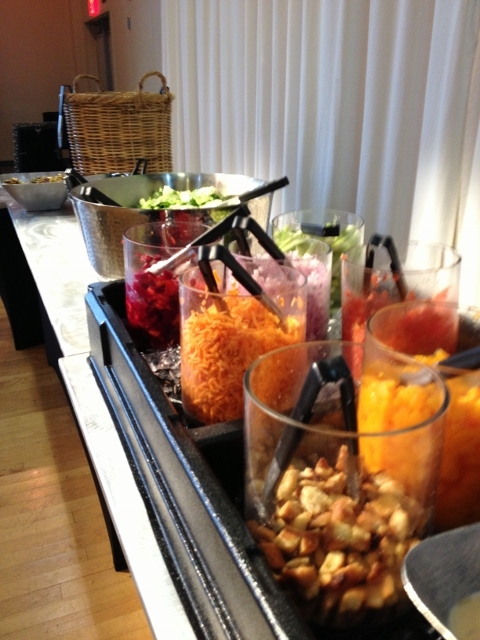 I was thrilled with the veggie bar, a step up from a basic salad bar. There were two prepared green salads on the night I visited as well as all sorts of veggies that could be made into a salad or eaten on their own. It was easy for a gluten-free vegetarian to make a meal right here! 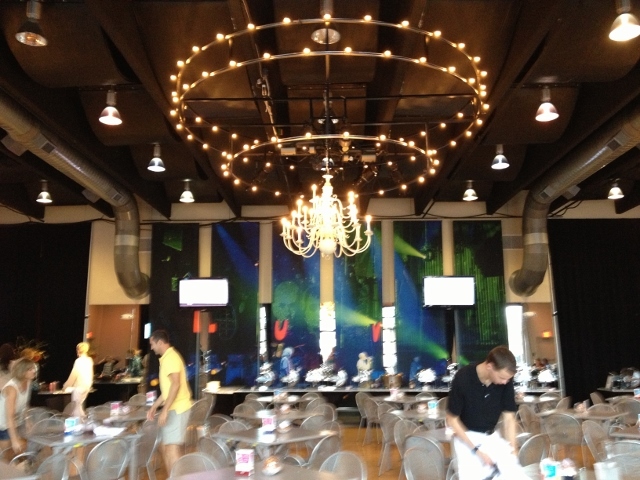 Beyond the VIP Club, there are several options at Starlight. I visited a snack bar and found the nachos included single-serve bags of Tostitos. The friendly staff headed to the back to check ingredients on the nacho cheese sauce, which was gluten-free at the time of my visit. They also let me know they would be happy to serve any of their sandwiches without a bun. 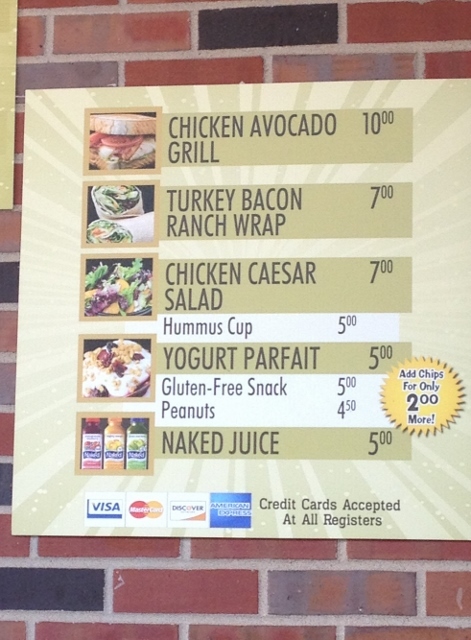 Around the corner from one snack bar was a bar that had different food options, including a “gluten free snack,” which was a KIND bar. Not a bad option in a pinch! 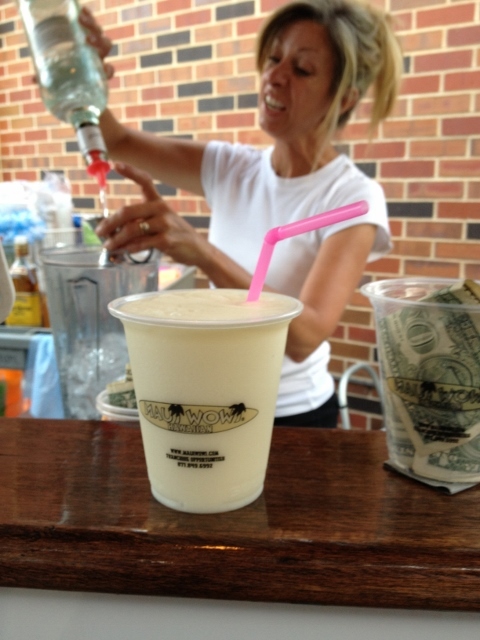 The smoothies and cocktails are made with Maui Wowi mixes, which are gluten-free and contain yogurt. They are free of HFCS and artificial flavors and colors. I was pleased with how easy it is to eat at Starlight and how nice everyone was when I asked lots of questions about ingredients and how food is prepared. I like knowing I can grab a bite before a show and have a snack and a cocktail during a show. I’ve been to Starlight three times so far this Summer and enjoy it every time. 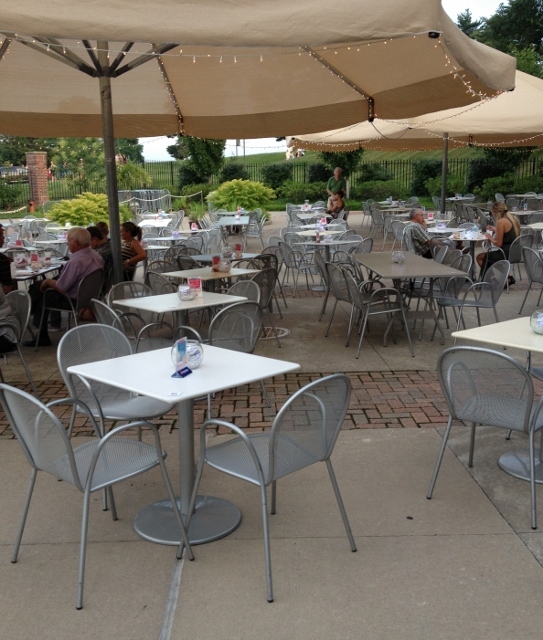 Starlight is located at 4600 Starlight Road, Kansas City, MO 64132. Please visit their website for a list of upcoming concerts and musicals. Dining options are also listed on their site. Eat With: Moderate Caution. Please advise the staff of your dietary allergies, restrictions and the severity. Ask questions, as always. 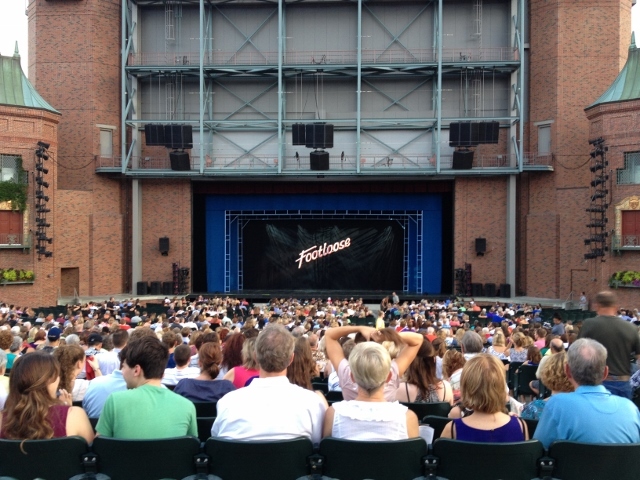 Disclosure: I was provided two complimentary tickets to a recent performance at Starlight. The opinions expressed are always my own and I was not asked nor required to write about my experience. I purchased my own food and beverages. I love open air theaters!!! What a perfect summer event. And I’m really impressed with the food. Cool veggie bar…love those tall serving bowls. Yay for gf snacks too!